Survivor Ghost Island episode 12 airs Wednesday, May 9nd at 8:00 PM Eastern time. The twist this week was that two contestants would receive immunity for winning the Immunity Challenge, but two contestants would also we voted out at two separate Tribal Counsels. The 10 contestants were split into two tribes by a drawing, and each tribe was to have it’s own Tribal Counsel. The challenge which was a physical resistance & balancing task, was won by Domenick for one tribe, and Chelsea for the other, making it the second week in row that Chelsea won immunity. In the strategies Michael invented that he had an idol, and tried to convince Kellyn to believe him, but it got out and Domenick didn’t buy that story. Domenick went on to convince his other teammates to eliminate Michael, and we really saw the one on one dynamic and alliances start to payout. Meanwhile the second tribe schemed to eliminate Jenna. At the first Tribal Counsel, it was Angela, Donathan, Sebastian, Jenna, and Chelsea voting. Chelsea had immunity and Donathan chose to use his immunity idol. The results: 1 vote Donathan, 1 vote Sebastian, and 3 votes Jenna. So Jenna was eliminated and Donathan realized that he wasted his immunity idol, a move that is sure to come back to haunt him in the coming weeks. In the second Tribal Counsel, it was Domenick, Michael, Wendell, Laurel & Kellyn voting. Domenick seemed to have a strategy as he continued to pow wow with Wendell into the Tribal Counsel, even though he had earned immunity. The results: 1 vote Kellyn, 1 vote Wendell, 2 votes Laurel, and 2 votes Michael. Six votes means that someone got an extra vote, and it went to a second round of voting to eliminate Laurel or Michael. The first 2 votes were for Michael, and so the handsome 18 year old from LA was eliminated. The producers really know how to keep this show interesting by throwing in new completely unexpected twists with each new episode. As soon as you expect something to happen they invent a new twist. It’s akin to a suspense movie with a completely unexpected ending. There are now just two contestants at double digit odds, so if you like those contestants, you could make a lot of potential money. With the twists in this show, everybody has a great chance, and long shots to win, could net you a cool $400, for just a $10 bet. With contestants still at double digit odds to win Survivior Ghost Island, now is the time to make your wager at BetDSI.Sportsbook. Click over now to BetDSI.eu to check out all Entertainment odds on the board along with a slew of fun and exciting novelty prop bets on your favorite shows, celebrities, and even politicians. Take advantage of getting double your money if you open an account today, with a 100% deposit bonus just to try wagering on the site. 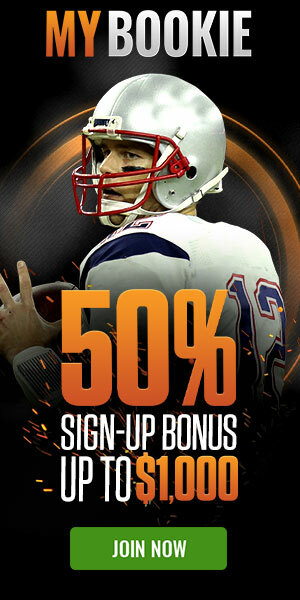 Join the action with a few fun wagers, because it’s only a game, until you bet it! Survivor Recap — Double Elimination!